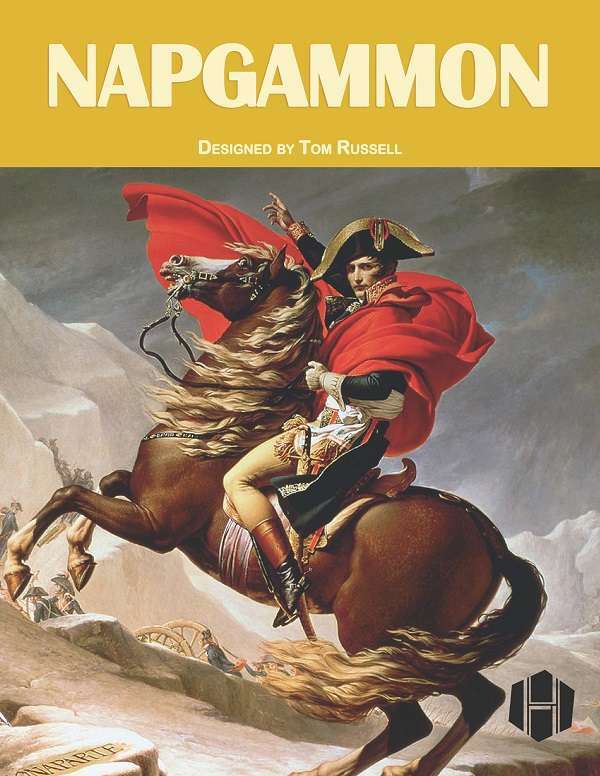 Napgammon is an abstract game of luck and maneuver. It takes the core roll-and-move mechanism of Backgammon and applies it to a two-dimensional point-to-point map with differentiated terrain and movement costs. As in Backgammon, players roll two dice at the start of their turn and make one move for each die. Rolling doubles allows four moves, but also enables multiple divisions that begin the turn stacked together to move as one, potentially achieving superior combat odds and an advantageous column shift. Combat is resolved using an odds-based, but completely deterministic, CRT, and losses are permanent. A pool of reinforcements can be brought in from your Capital city. The game is won by either completely surrounding your opponent's Capitol, or by Eliminating sufficient enemy units that you outnumber them two-to-one.